BERLIN (AP) — Chancellor Angela Merkel’s Bavarian allies elected a new leader Saturday, a change that offers Germany’s center-right a chance to move past their persistent bickering over recent years. The 52-year-old Markus Soeder was elected unopposed in Munich with more than 87 percent of the votes to lead the Christian Social Union. 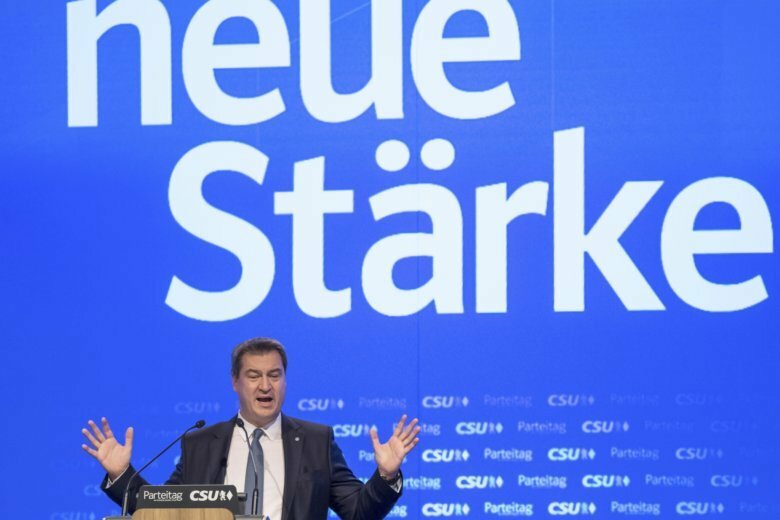 The CSU is the Bavaria-only sister party to Merkel’s Christian Democratic Union, an independent-minded and sometimes-awkward ally despite the fact that they have a joint group in Germany’s national parliament.